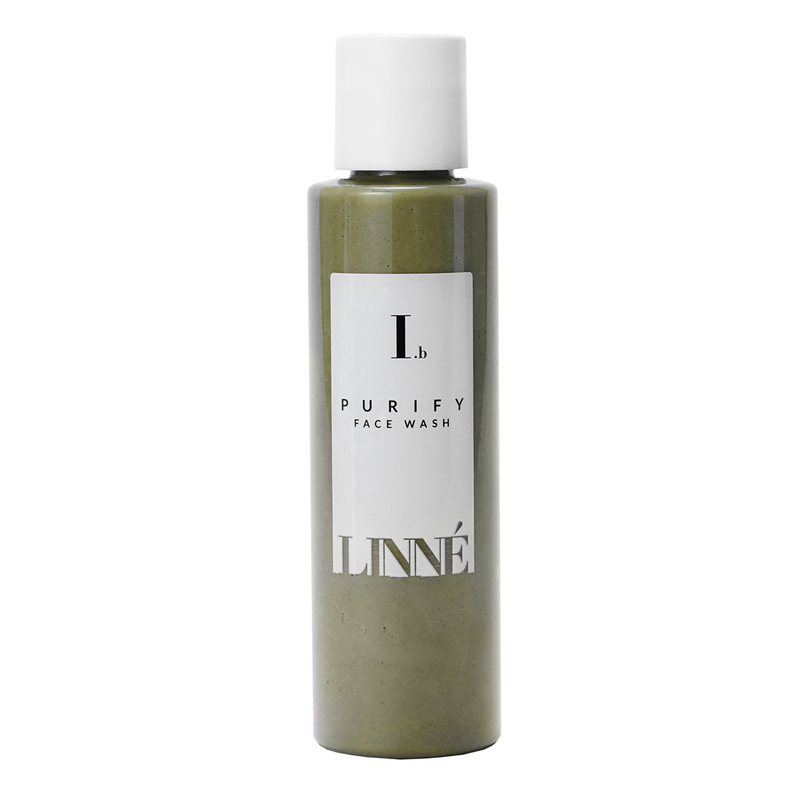 LINNÉ'S Purify Face Wash, made with organic ingredients, offers a deeply nourishing feel, and is suited to those with sensitive, inflamed, or combination skin. Its refreshing formula is full of antioxidants and helps skin retain a look of youthfulness. Giving off the invigorating aromas of Lime, Cypress, Tea Tree: Bright, Citrus and Green Woods, the organic face wash lends a stimulating quality to the mind, while promoting a sense of relaxation and tranquility. Massage PURIFY onto dry or damp skin. Use warm water and sea sponge to cleanse face of makeup, dirt, and other environmental pollutants. May be used morning and night. PURIFY may also be used as a weekly mask: massage onto dry skin and leave for 3-5 minutes before rinsing. Sea sponge included. I have mature, sensitive, dry skin that only needs a once a week scrub. The Linne Purify Face Wash works perfectly! It has a fresh, herbal fragrance and provides a gentle exfoliation and deep cleanse. Because it has a very thick, putty-like texture, other reviewers have expressed difficulty with the lid packaging; I worked around that by unscrewing the lid entirely. I've been using weekly for six months and still have one third of the bottle left, so it's also a great buy. I will definitely consider purchasing again. I love this cleanser!!! It doesn't dry out my skin even I use it as a mask. But the packaging is so so bad! It'd be better if it comes with pump or in a jar. I can see myself struggle to get the product out in the future. I enjoyed this thick mud like cleanser. Took a lot of coaxing and banging to get the chunky product out of the bottle.